Display x-rays for a science class, insert a picture negative and reuse those old slide images with the built-in lightbox. 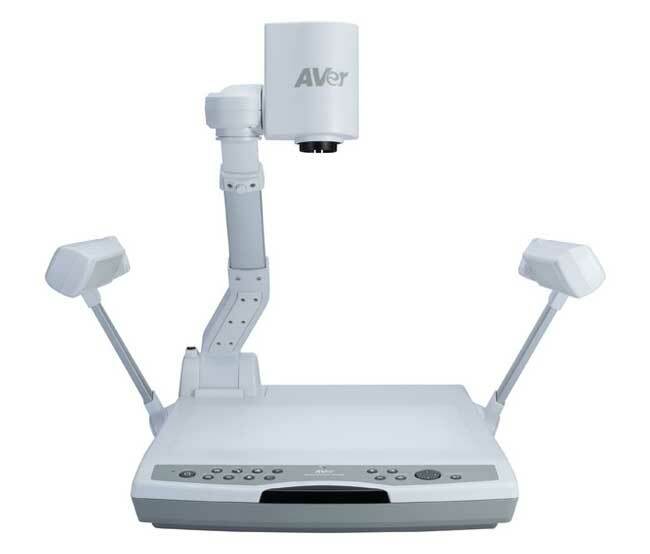 The collapsing arm and camera head fold neatly for easy storage in your classroom or computer cart. Plug in a USB mouse or AVer's AP20 interactive pen right into the PL50 (no computer needed) and draw arrows, highlight, write notes and more on any displayed image. Left ventricle, aorta â€“ you've just added notes to a 3-D object. How cool is that? Shooting Area : Max. 15.74" x 11.81"